Christmas is coming, as well those terrorists. As an excellent soldier, you have to kill all the bad guys appearing in the snow field. Are you ready to show yourself in Sift X Mess, a shooting game on www.bestgames.pk? In this game, you can’t move around, but the lucky point is that you can use laser to aim accurately—head is best. Try to shoot your enemies before they kill you. When you are out of bullets, reload your gun as quickly as you can. And when you unlock higher levels, you can use rifle gun to improve your performance. Good luck! 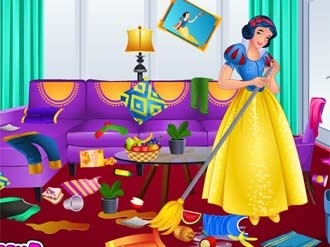 Snow White’s Messy Room is a free cleaning game for girls to play online. Princess Snow White is now living in a castle and she has no dwarfs for assisting her. She has to do all the works on her own. Look at her room and it is so messy! You need to do something about it. You need to help the princess clean up and arrange her room perfectly. The princess will be pleased with your kind gesture. Have fun playing this cleaning game! Sofia finally got home and she looks awful. She is very messy after she spent a long day in the forest, walking and enjoying the sound of the birds. Take Sofia to the bathroom because she needs to take a shower. Make sure that she will be a clean princess again and she will be grateful. Enjoy! Rapunzel loves her pony very much and she wants to take good care of it. 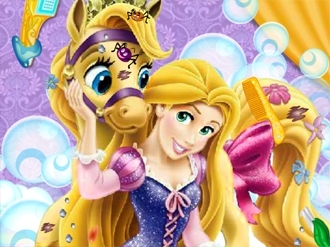 Let us help Rapunzel clean her loved pony because it got very messy. Use the tools to remove the parasites, the mud spots and any other type of stains from the pony. Use the shower and soap to wash the pony and make it look nice and clean. Have fun!